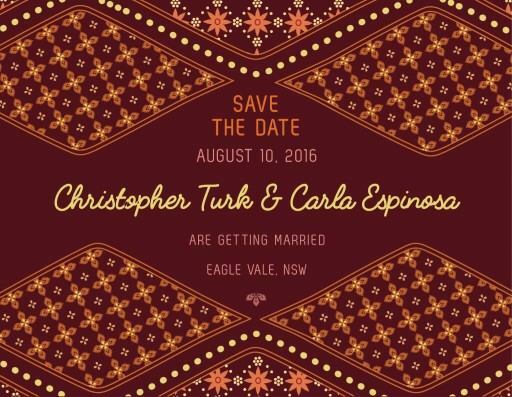 This save the date card is from the bold wedding invitation set, 'Moroccan Nights'. 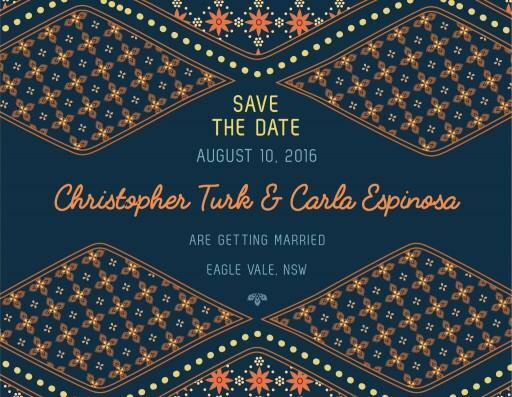 These blue and red wedding invites are sure to please the eye. The playful print on these wedding cards set the tone for your wedding to be just as fun! 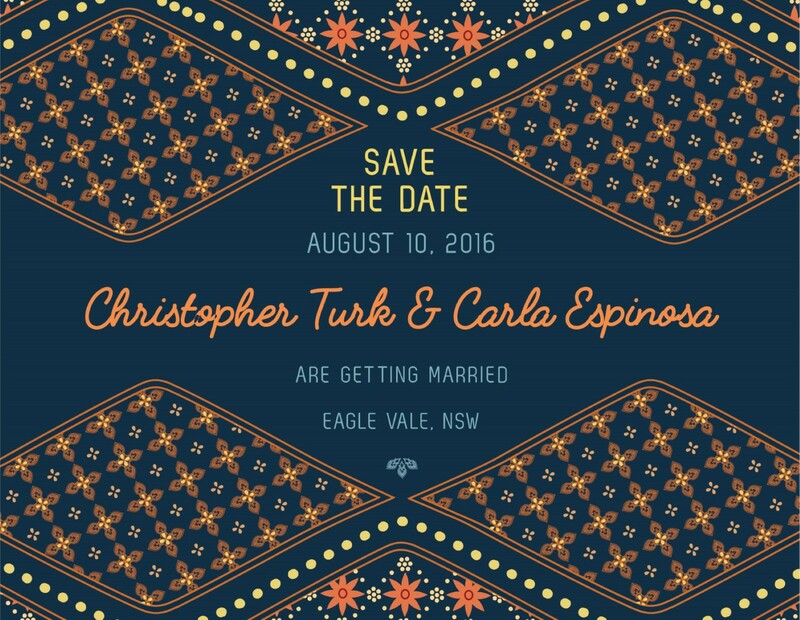 These wedding invitations are available as a digital print. 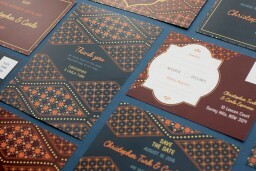 This save the card is fascinating, due to the impressive pattern used, and to the combination of colors. I think it looks sophisticated and modern.